Inflammation tends to be a strong indicator that something about the way your body works is malfunctioning. For decades, scientists have been conducting research to figure out what causes inflammation to occur. While there is still a lot of theoretical speculation, one thing seems certain: Some foods trigger inflammation while others fend it off. Inflammation is your body’s way of fending off illness and recuperating from an injury. When your system detects a foreign microorganism (such as a bacterial or viral infection), it activates white blood cells in the immune system, which are sent to fight off these unwanted invaders. For the most part, acute inflammatory responses are normal and will go away as the infection wears off or injury heals. However, some people face chronic inflammation on a daily basis. This can be caused by an inability to stop acute inflammation, an autoimmune disease, or long-term exposure to chemical irritants. 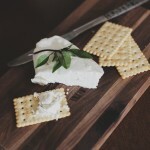 Since chronic inflammation doesn’t tend to go away on its own, you have to take proactive steps in decreasing its presence, which includes switching your diet over to foods that fight inflammation as opposed to those that cause it. Blueberries are one of the strongest anti-inflammatory foods out there. Not only do they help to stabilize blood pressure and promote cardiovascular health, they are rich in vitamins C and K. Since they are also loaded with anti-oxidants, blueberries have been studied as a way to help prevent and treat different types of cancer. As anti-oxidants, blueberries fight off damage to cells caused by free radicals. This damage is known to cause chronic inflammation. While those who are taking blood thinners should be cautious regarding how many blueberries they consume, almost everyone can reap the benefits of eating blueberries on a regular basis. As an Ayurvedic herb used throughout India for several thousand years, turmeric is one of the oldest foods that has been medicinally used as a way to combat inflammation due to the fact that it contains curcumin. In fact, many medical and functional doctors recommend adding turmeric to the diet in order to combat inflammation, stomach discomfort, joint pain, and even to reduce cholesterol and fight cancer. Turmeric is available in most grocery stores and can be easily mixed into food and drinks. Curcumin is also available as herbal supplements that can be purchased over-the-counter. Many people enjoy mixing turmeric with other herbs that target inflammation, such as ginger. Ginger is an herb that has numerous benefits for the body and the mind. It is closely related to turmeric and is rich in nutrient content. Since these two herbs are so closely related, their flavors tend to mesh well together in herbal teas. One review of various studies on ginger noted that ginger extract has the ability to stop the synthesis of specific inflammation markers. Zerumbone (a particular ingredient in ginger extract) is noted for its ability to inhibit the metastasizing of colon adenocarcinoma by reducing inflammation in the colon. While many meats can actually cause (or, at the very least, exacerbate) inflammation due to their fat content, wild-caught salmon is known for being one of the leaner meats that is healthy for most people to eat. Since they’re loaded with omega-3 fatty acids (which are considered the “good” fats), wild salmon has numerous health benefits. Most processed meats are loaded with omega-6 fatty acids, which have been linked to all sorts of health problems, including chronic inflammation. Decreasing your omega-6 intake and boosting your omega-3s can potentially reduce inflammation throughout your body. It can also help to prevent serious health conditions, such as macular degeneration (which is often characterized by inflammatory issues). Beans and lentils are generally considered a staple of the anti-inflammatory diet. Black beans are especially powerful, and it is recommended that you get 1 or 2 servings of beans per day to help fight off inflammation. Of course, certain people might have trouble digesting various types of beans. Those with autoimmune diseases tend to struggle the most with legumes since they can contribute to leaky gut, and they do not break down easily in the digestive tract. However, black beans are known to aid in digestion due to the amount of fiber they contain and help healthy gut flora flourish. Chia seeds are so tiny that it is hard to imagine that they pack a lot of nutritional value. However, these little seeds are powerhouses when it comes to providing benefits. 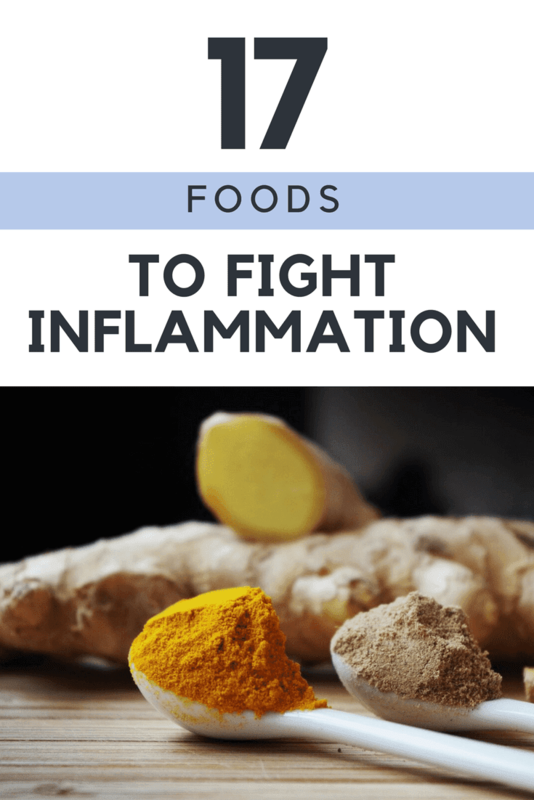 In fact, they’ve been deemed a “superfood” when it comes to fighting inflammation! Originally from Mexico, chia seeds are extremely high in antioxidants and fiber. You only need one serving of chia seeds to meet your recommended daily value for fiber. As powerful antioxidants, chia seeds are able to prevent damage from free radicals, thereby keeping inflammation low and slowing down your skin’s aging process. Are you cooking with regular vegetable oil? If so, you might want to consider making the switch to extra virgin olive oil. Whereas vegetable oil can cause inflammation, extra virgin olive oil is known to help fight it. Extra virgin olive oil is the most high-quality type of olive oil available. It is created by cold-pressing the olives and their pits, which eliminates chemicals and heat from the preparation process. If you see “virgin” olive oil without the word “extra” in front of it, this means that the olives underwent a second pressing, which is where that oil comes from. Extra virgin olive oil has over 36 phenolic compounds, one of which is the powerful anti-inflammatory known as oleocanthal. Oleocanthal actually produces the same effects as non-steroidal anti-inflammatory drugs (NSAIDs) but has none of the side-effects you might encounter from taking something like Ibuprofen. If you haven’t started using apple cider vinegar to reduce your inflammation, you might want to consider adding it to your cup of apple juice every morning. This substance is packed with hydrochloric acid, which aids in the digestive process. Also, it has plenty of vitamin C, which helps to reduce inflammation. There are plenty of ways to incorporate apple cider vinegar into your diet. Drinking it straight can be a bit painful, as it does burn while going down. The burning sensation can be neutralized when added to salad dressing, tea, or a glass of apple juice or apple cider. It wouldn’t be a proper anti-inflammatory food list without the mention of apples. This highly alkaline fruit doesn’t just taste great; it has many well-documented health benefits, including the alleviation of inflammation. Apples are packed with antioxidants, especially one called quercetin. Quercetin purges free radicals from the system, thereby preventing oxidative stress. This yields numerous benefits, including treating stomach ulcers, chronic fatigue syndrome, and even preventing cancer. Since inflammation seems to be at the root of many diseases, it is difficult to get too much quercetin in your diet. In other words, the old adage “An apple a day keeps the doctor away” might just be true! Aside from extra virgin olive oil, the other cooking oil you should consider switching to is coconut oil. While there has recently been a lot of debate as to whether coconut oil is good for you, there is a growing body of evidence to suggest that, even though it isn’t as potent as certain anti-inflammatory medications, coconut oil doesn’t cause the same side-effects. Virgin coconut oil is processed under low heat and with zero added chemicals, which makes it relatively safe for most people to consume in moderation. It contains lauric acid, which can help to decrease inflammation within the body. Of course, since coconut oil might raise LDL cholesterol levels, it might not be the right choice for everyone. But it seems that, for those with healthy cholesterol levels, moderate consumption is fine. You might have been told to eat bone broth when you were ill with a cold or the flu, but you can also reap the benefits when you aren’t sick. Bone broth contains many of the vital minerals that your body’s immune system requires to properly function. It is a major component in the Paleo diet and is something that many nutritionists recommend adding to any anti-inflammatory diet plan. Bone broth can easily be made at home from grass-fed cattle bones that can be purchased from many farmers’ markets or through holistic health websites. Bone broth is known for its ability to repair symptoms of leaky gut syndrome. It essentially acts as a detoxifying agent, cleansing the liver and colon with its high amounts of glycine and potassium. It is also loaded with glucosamine, which supports joint health. It might have a weird name, but this Chinese cabbage is loaded with quintessential glucosinolates, phytonutrients, and phenols. It is also one of the foods that is most densely-packed with vitamin A. Additionally, a single cup of cooked bok choy provides you with 64% of the daily value for vitamin K and 59% of the daily value for vitamin C (both of which work to regulate inflammatory responses in the body). Since it is loaded with antioxidants, bok choy acts as a powerful anti-inflammatory food. Bok choy is a major source of omega-3 fatty acids, making it a great choice for vegetarians and vegans who are looking to supplement their omega-3s without consuming meat. While there are not yet enough scientific studies to indicate the extent to which bok choy can reduce inflammation, results would likely show some positive evidence. Bok choy is generally affordable and is easy to prepare. It can be added to soups or into a delicious stir-fry meal. Another cruciferous vegetable that is known for reducing inflammation is broccoli. Broccoli is a major source of multiple sulfur compounds, which makes it a very capable anti-inflammatory food. Whether you steam it, eat it raw, or include it in a sour or stir-fry, broccoli is a veggie that should play a role in any anti-inflammatory meal plan. Just one cup of chopped and cooked broccoli provides an astounding 245% of the daily value for vitamin K and 135% of the daily value for vitamin C. Like bok choy, it contains a good amount of omega-3 fatty acids. Additionally, its inclusion of sulforaphane (an isothiocynate) lends to its ability to regulate the inflammatory system, particularly the NF-KB pathway. Beets are something of an oddball vegetable. They are loaded with a phytonutrient known as betalains, which are crucial for detoxification support. They are also what give beets their distinguishable reddish pigmentation. Beets present a rather unique mix of antioxidants. They are a rich source of beta-carotene. It is also a rich source of betaine, which is essentially choline with the addition of three methyl groupings. Betaine has been shown to reduce the presence of inflammatory markers in the body (including interleukin-6) and promote heart health. Another type of seed that is surprisingly packed with nutrients that can help fight inflammation is flaxseeds. Merely two tablespoons of raw flaxseeds contain 133% of the daily value for omega-3 fatty acids. These seeds are also extremely low on the GI scale, so they are unlikely to cause any sort of gastrointestinal upset. In fact, these little seeds are the most abundant source of omega-3 fatty acids! Flaxseeds are also rich in lignans, which are found in their hulls. When they are digested, lignans will convert to plant estrogen. They are known to protect against heart disease as well as several different forms of cancer as well as fending off inflammation. It might come as a bit of a surprise to you to see pineapple mentioned on a list of foods that help to reduce inflammation. As it turns out, pineapples are rich in the enzyme bromelain, which acts as a powerful anti-inflammatory agent. Since it has the additional ability to aid in the breakdown of proteins in the digestive system, this can contribute to improved digestive abilities. Pineapple is effective at reducing inflammation, but it has other benefits as well. Those who have trouble with blood clotting should also consider adding pineapple to their diet since bromelain is able to break down fibrin, which is a common culprit when it comes to blood clotting. When you consume pineapple, be aware that cooking it will decrease some of its nutritional value. This is why eating raw pineapple is typically recommended, especially if you want to get plenty of bromelain. When it is heated, bromelain will become dissolved. Nuts are generally considered to be excellent at reducing inflammation in the body. Out of all the different types of nuts that you can consume to decrease inflammation, almonds, which are richly packed with vitamin E and other essential vitamins and nutrients, are some of the most diverse. Unlike most other tree nuts, almonds contain even more calcium, fiber, vitamin E, and protein. Since they are rich in vitamin E, almonds are a powerful antioxidant, easily fending off free radicals and preventing oxidative stress to the body’s cells. Also, almonds have a high amount of magnesium, which plays a crucial role in strengthening your bones, promoting healthy nerve and muscular functions, creating DNA, and maintaining a normal blood pressure. Magnesium also contributes to lowered levels of C-reactive protein (CRP). Heightened levels of CRP tend to be found in individuals who are diagnosed with autoimmune disorders, such as lupus. Since chronic, widespread inflammation is a common characteristic of autoimmune disorders, it makes sense that CRP levels would be high. CRP is produced in the liver and can be measured by conducting a blood test. If you are diagnosed with an inflammatory disease and have high CRP levels, you could be at risk for developing serious cardiovascular issues over time. Reducing inflammation and restabilizing CRP levels is crucial, which is why consuming, at the very least, the recommended daily amount of almonds is important. While some individuals have a hard time digesting almonds and other tree nuts due to food sensitivities, those who can comfortably digest them should include almonds in their anti-inflammation diets, especially since they are well able to reduce CRP levels. Reducing inflammation is critical for those facing various inflammatory-based diseases and disorders. When you curb inflammation, your digestive tract is able to more properly function, and you prevent free radicals from wreaking havoc on your cells. However, reducing inflammation is not easy and can take some time and quite a lot of patience. When you choose to switch over to an anti-inflammatory diet plan, consider incorporating the 17 foods listed above. All of these foods are excellent sources of vital nutrients that your body needs to be able to do its job. Your body might just thank you for making that choice! This was a great read for me. I am 54 have always been active but to some things and alot of stress Inflammation has became a daily battle and trying to get this under control is also a battle. Trying to eat right and I continue to walk/run. Anyone that can give some heads up about battling inflammation would be appreciated.